Xiaobian teaches you how to wash and maintain - Shijiazhuang Hongsu Textile Import & Export Co., Ltd.
Xiaobian teaches you how to wash and maintain. 1. Pure cotton: pure cotton medical clothing washing method: most cotton medical clothing is single-lead, relatively thin, avoid using brush when washing, do not use force, the neckline of clothes can not be washed horizontally, wash well Do not wring it out, dry it directly, do not expose it to the sun, do not dry it at high temperatures.we are medical fabric wholesale and the best medical fabric wholesale. Dark medical clothing: clean separately in the shade, because cotton fibers easily absorb other colors and dyes. Do not use alkaline cleaning products on cotton fabrics, which will make medical clothing harder; therefore, medical clothing manufacturers recommend using acidic detergents (such as soap) to neutralize them. Light-colored medical clothing: Light-colored cotton-woven clothing will gradually turn yellow after washing for a long time. It can be boiled in the water for 2O minutes, then rinsed with water to restore the original appearance. 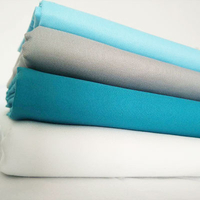 2, polyester cotton: you can use the washing machine to wash directly, but it should be noted that after washing, do not dry. In particular, the use of ring 哄, otherwise it will damage the chemical composition of the polyester, resulting in clothing is not strong. Alkali does not easily damage cotton, so it can be cleaned with a light alkaline. White cotton fabric turns yellow and embrittled. 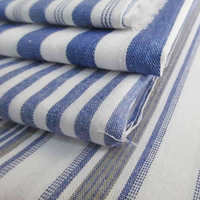 Some cotton dyes are particularly sensitive to sunlight, and are easily faded when exposed to excessive exposure. Especially blue, purple, pink, etc., you need to be especially careful to turn over and dry. 1. Wrinkle removal: Medical clothing often wears some folds for a long time. These folds greatly affect the image of the hospital. If you have an iron, you can iron it with a flat iron, or when you take a bath, we can hang the wrinkled medical clothing in the bathroom and use hot steam to remove the wrinkles on the clothes, which is both convenient and convenient. 2, dust removal: medical clothing will stick to dust in long-term work, so after going home, use a wet towel to gently scrub, then hang in a ventilated place. For stubborn stains and dust, use a roll of wide tape, cut a piece of tape at a distance, then flatten the medical clothing, gently press it on the tape, and the dust will get on the tape. The same is the overalls, the hospital uniforms can not be equated with the workwear of other industries, due to the special nature of the work environment, the hospital uniforms (medical white coat) must have more performance. Which manufacturer is better for medical white coat? We need to fully consider the strength of the custom-made Baida manufacturers, especially the R & D innovation strength, can not just stay at the level of ordinary tooling customization. 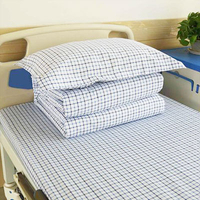 The traditional white enamel fabric polyester card and polyester fabric are the medical white enamel fabrics that many manufacturers prefer. The doctor's clothes are hard, airtight and inelastic, which is a significant shortcoming. Some manufacturers use pure cotton fabrics to create medical white coats. 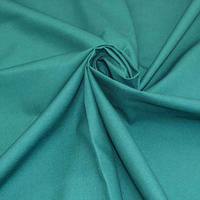 Pure cotton fabric has good moisture absorption and permeability, but its stiffness, wear resistance and elasticity are both insufficient, and it is easy to wrinkle, easy to yellow, less antistatic, and not easy to care.